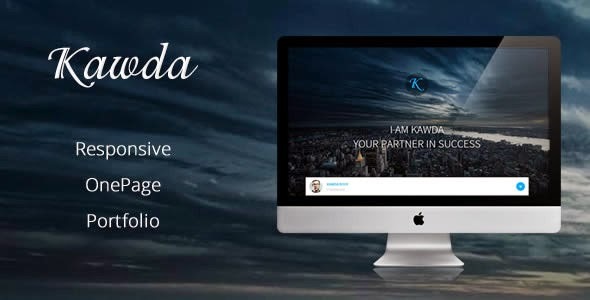 KAWDA is a fully responsive and a modern template designed for looks great no matter what device you’re viewing it on, desktop, tablet, mobile phone, etc. Perfect for designers, photographers or any other creative professional, build your dream site today! Item Reviewed: Kawda - Responsive One Page Portfolio Theme 9 out of 10 based on 10 ratings. 9 user reviews.